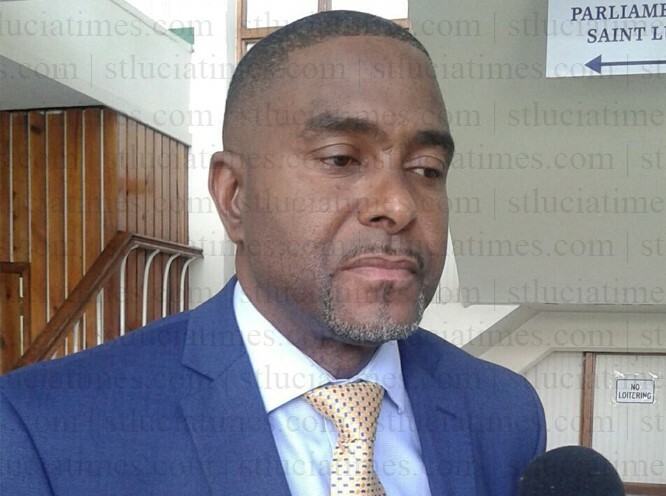 Public Service Doctor Ubaldus Raymond has proceeded on leave as the government of Saint Lucia investigates ‘recent information’ surrounding him. That’s according to a statement issued Thursday by the Attorney General’s Chambers. The Government, in seeking to protect the interest of the People of Saint Lucia, wishes to give the assurance that these investigations will be performed without interference and with the utmost integrity. In furtherance of this, Dr. Raymond has proceeded on leave. investigations the outcome will be presented to the general public. Get a life. Since the day we done with Rochamel, what ur family did not get to benefit, u hurt financially by this ? Seriously.. for once can y’all people just deal with the matter at hand. Curious, I am curious about your level of intelligence. You seem to be stuck in the past. Just playing the same old discredited record. There are modern tunes such as: the 162 million dollar deal,The Fresh Start episode, the 30 million in direct contracts given by an Acting Prime Minister, the Sandals 25 million dollars gift of tax payers money, the millions paid to Ernst and Young to do work that our Ministry of Finance can do, the illegal use of the CIP money, the millions spent on a simple road in the PM’s constituency, the illegal practice of running parliament without a constitution and the list goes on. If you are doing and saying nothing about these and more, then I question your position on that long discredited matter of Rochamel and Grynberg. Just to be clear I am in agreement with Curious. Ryan, I agree. However, we cannot lose sight of a Minister proceeding on leave which means that he will be collecting tax payers money while an unnecessary “investigation” goes on? For how long is that leave. What is the end date of that “investigation”? What exactly is being investigated? I’m going on leave toooo. Anyone’s interested? Thought so. People please stop with the stupidness about the sale of seabeds….THAT’S NOT TRUE. It’s been explained 100 times. We OWN our seabeds. The Govt of SLU has won its two rounds in court on this matter. To all those who saying Rochamel and our sea beds is a thing of the past are corrupt as they master. What’s the big deal about Mr. Raymond? Did he raped anyone? Did he misused funs? What is wrong in charting someone? Did his wife complained? All of you out there that want to drag him in the mud, some of you have done even worse; leave the man alone! Public office puts individuals on RADAR it comes with the territory…it’s not all glitz, prestige etc.